I’ve worn this skirt twice recently (in the span of a week), the first time (on Sunday, the 7th of June) was just out to lunch. 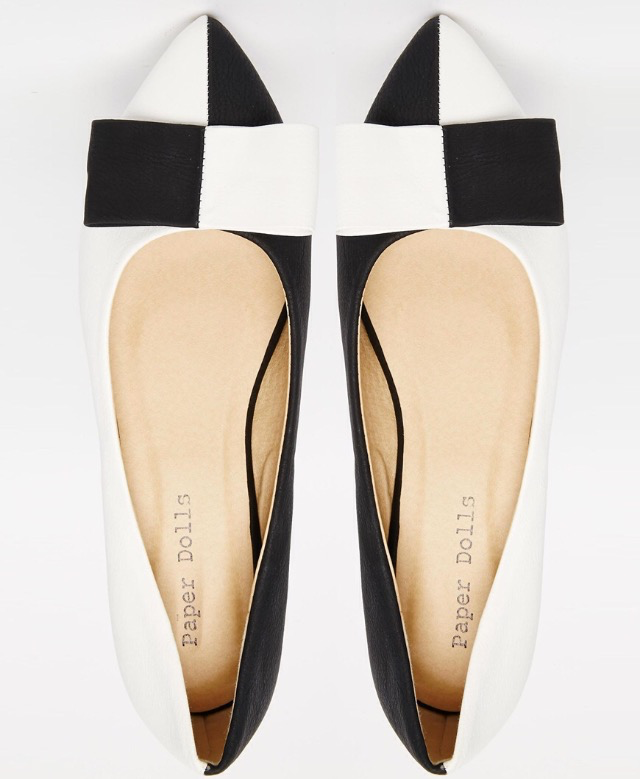 As you can see pictured below, I paired the skirt with a black Zara sleeveless top, an Asos cropped denim jacket, my trusty Iron Fist bag and these black and white Paper Dolls flat shoes. I also wore little River Island stud earrings in the shape of envelopes. This outfit was very simple and easy to wear. I have been meaning to wear these shoes for a while but it took me much longer than I originally anticipated to actually wear them! The shoes are lovely, I like them and am planning of wearing them again soon (when it stops perpetually raining). The next time I wore this skirt was on Saturday, the 13th of June. 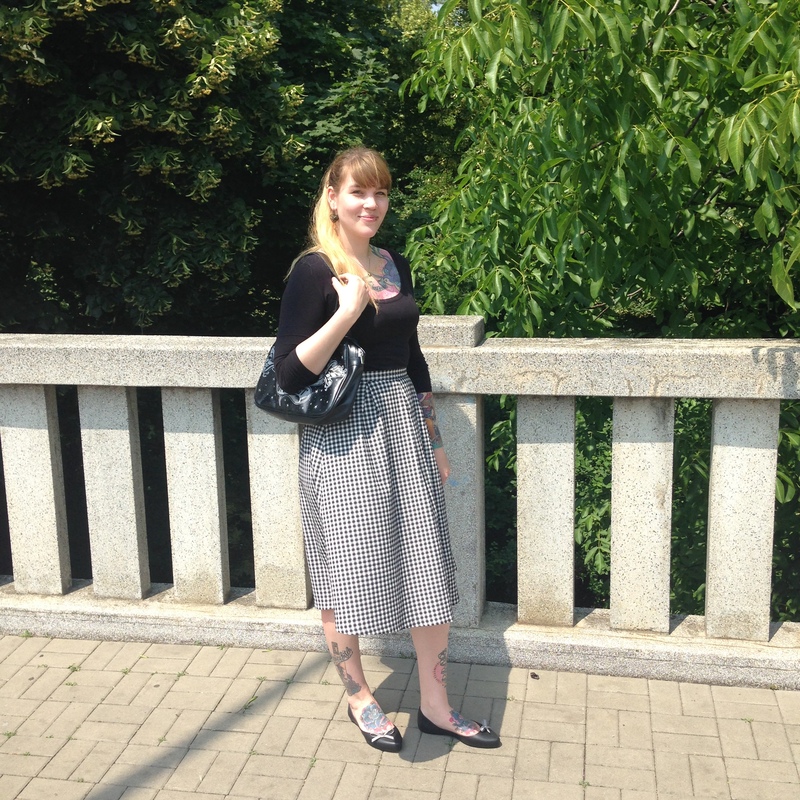 I apparently love wearing this skirt with this Iron Fist bag, but honestly I have been wearing it loads lately. I’ve been a bit lazy to switch bags. 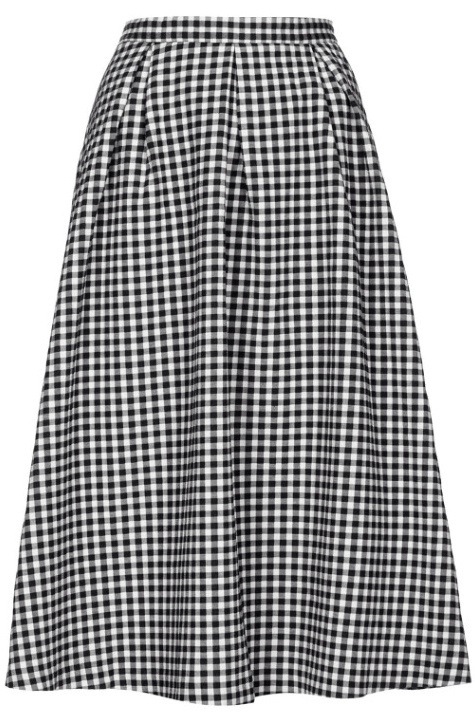 I wore the skirt with a Stradivarius long sleeved tee (the easiest styling for this skirt is just to wear it with something black) and a pair of Melissa flats. I also wore Stradivarius heart shaped earrings. It was a quick slip-on-and-go kind of outfit. 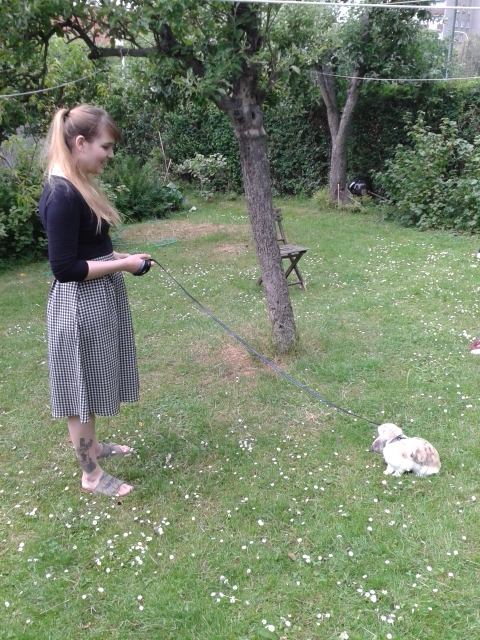 Bananas really liked the garden (it was her first time outside, there aren’t any nice places where she could go near our flat unfortunately, people here don’t pick up after their dogs and I don’t want her to catch something or to get filthy, so we’ll just have to try to visit my parents more often!) She ran around a bit and ate some grass, she didn’t dig but it was her first time, so she was probably a little nervous. Anyways, it was a really great day and we were all really happy. 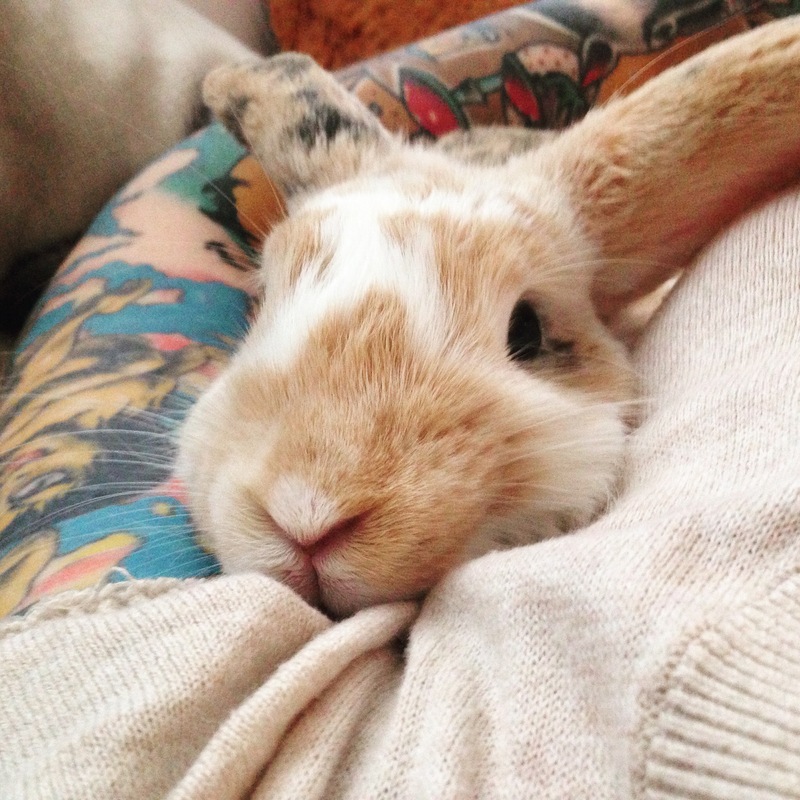 And since I’m sharing bunny photos, I will also add my current favorite photo of Miss Bunny. We were having a cuddle on the couch and she just looked so adorable (she also looks really huge in that photo). She really is a very cute bunny in all of her pictures, but this was a rare gem of a photo as she is a very active and impatient bunny most of the time. Yess! Monochrome everything! I’m glad you like Bananas, though I have to say I have to try very hard not to post a million of her photos! 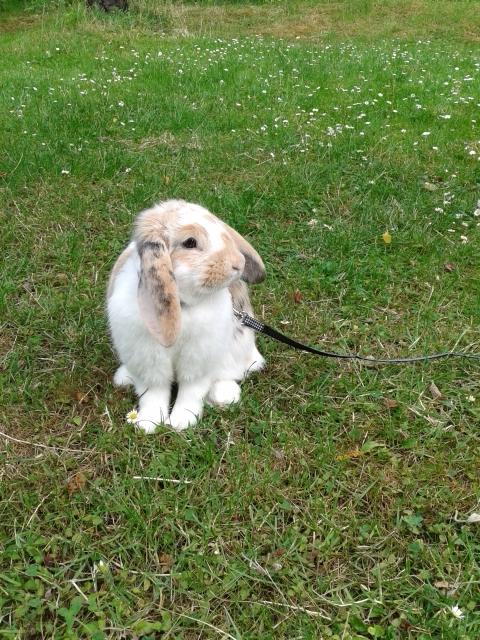 Bunny on a lead, tooooo cute! I LOVE this skirt. I get the same with bags, it’s so easy to just keep using the same one for a while.